First of all, may I say ‘sorry’ for the length of this Blog! I was very busy in the last quarter of 2014 and then, like many, was laid low over Christmas and New Year with the flu and a virus, the latter of which I am still trying to shake off. We started the New Year with good news from the publisher that we sent our book to ~ they plan to publish it in the second half of this year. It will be available as a paperback, on Kindle and Kobo. That does mean that we have been tasked with a few things to do to tidy it up before it can go to print. So Kim and I are working hard on that at the moment. I will let you know when nearer the time about availability. 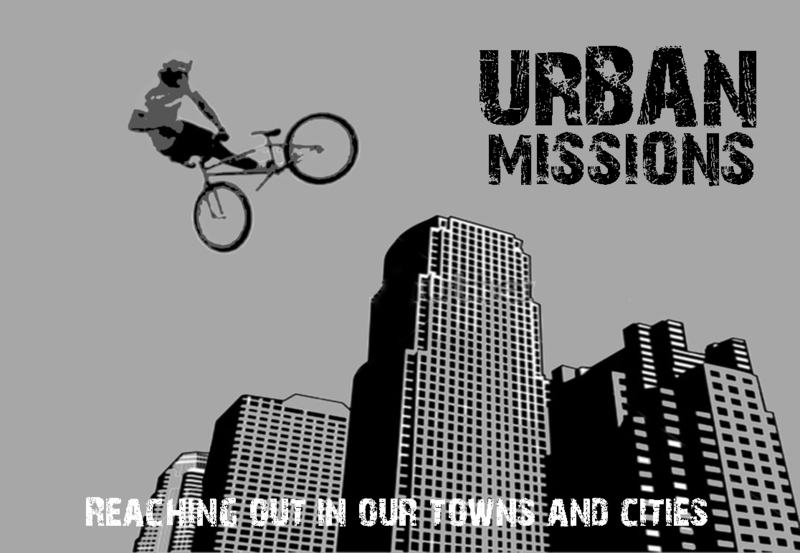 We are looking forward to all that God is going to do this year with “Urban Missions” planned with the tent in Albania, Bulgaria and across the UK as well as our third Mission School in Bulgaria. If you are interested in joining one of our teams please contact us for more details. Following the success of our Mission School in Sofia in 2013, I traveled in September to Bulgaria to take part in our second Mission School. The format has changed and the school is taking place in two venues; Blagoevgrad and Pazardzhik. It was planned this way to allow as many people as possible to attend. The teaching took place on week day evenings while the practical sessions happen at the weekends to allow people in full time employment to take part in the school. Apart from that things were much the same as last years course. Each evening the students have the opportunity to learn from established evangelistic ministries. These came from Bulgaria, Belarus, Denmark, England, Estonia, Russia and Sweden giving the students a wide breadth of experience. Each week two ministries alternate between the venues as well as working with the students on the practical sessions at the weekends thus maximising their time in the country. The school has grown this year and we have about thirty five students attending over the two venues. It is very encouraging to see their enthusiasm and hunger to learn. Students from last years school were involved in the planning of the school this year and some joined us on two of our missions this summer. 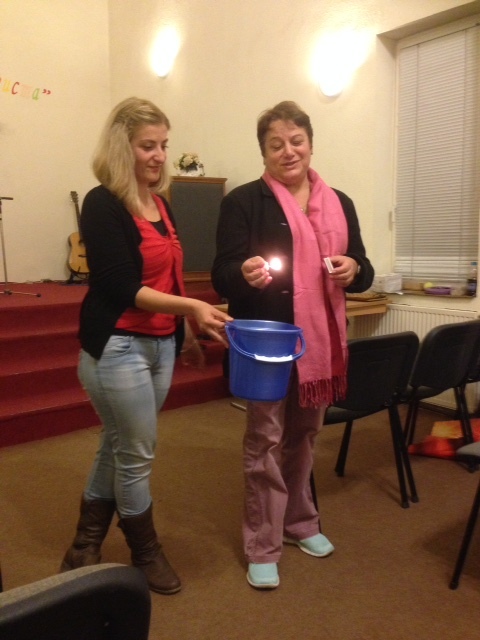 One couple from last years school have moved to plant a new church as the result of a mission we held in Shalba on the Black Sea in Bulgaria this August. Praise God! From Bulgaria I traveled by car with friends from both Bulgaria and Russia through Macedonia to Albania, an eight hour drive. We had been invited to speak at a small conference on evangelism in Elbasan. 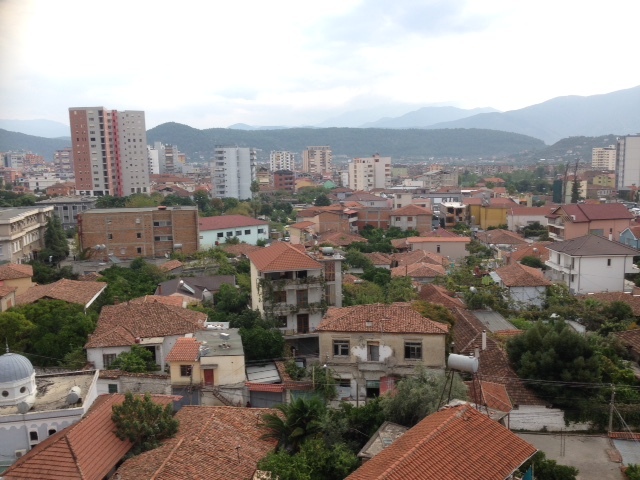 Albania was one of the most tyranical of all the Communist block regimes and since the fall of communism has developed very little; people generally are very poor and jobs almost impossible to find. 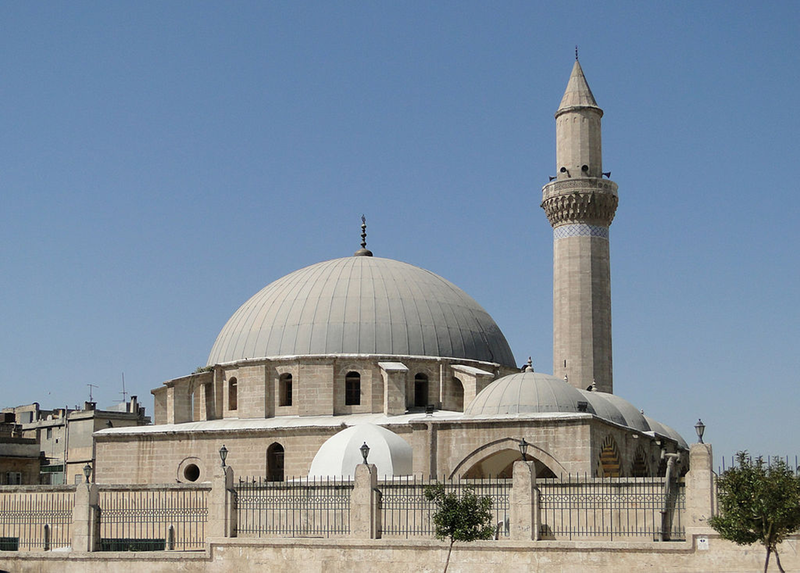 Islam is now the most prominent religion and as we traveled through the country many towns had two or more mosques. Despite this the Christians we met were enthusiastic and keen to learn from us. They are already involved with many Non Government Organisations who are seeking to meet the needs of the poor. So the things we had to say about evangelism dovetailed well into what they are already doing. As a result we were asked to come back next year to do a larger conference on evangelism and to follow that with a Tent Mission in September of 2015. While there we were asked to attend a project that seeks to support widows and orphans in the town with little or no income. Each month the project gives out hampers of essentials to help see them through. There must have been about sixty people plus children; it was truly a great mercy ministry. I was asked to tell a Bible story a little like Sunday school. I chose to tell them the greatest love story of a God who loved them so much that He sent His Son to die for all our wrongdoings (I preached the Gospel). After I spoke about fifteen of the people asked Jesus into their lives as Lord and Saviour. It was a special morning seeing these folks step into God’s Kingdom. After we returned to Bulgaria I was on my way to Shumen, which is about a four hour drive from Plovdiv, to visit a missionary couple from England who pastor a couple of churches there; one Bulgarian and one Gypsy. Neither of these churches have grown much in the last few years. They had asked me to come and teach their people to share their faith over two evenings. We had ten to fifteen people each night who were very keen to learn. During the evenings I laid a Biblical foundation for why and how we should seek to share our faith with those we meet during the course of our everyday life. Then we had some fun getting them to share their stories of what their life was like before they knew Christ, how they came to know Christ and what difference knowing Christ has made in their lives. This they had to do during the time it took for a match to burn down, about two minutes and without using any Christian jargon. This is something we should all be able to do. Give a reason for the hope that we have to those who ask us in a short sound bite. We can always expand it if we are given more time. The fruit of this teaching was evident the very next Sunday as they had two visitors to the church, a lady and her daughter who gave their lives to the Lord during the meeting. Praise God! I’m looking forward to seeing this church grow more over the coming months. Back to Plovdiv to join Martin Wade who had just flown out from the UK to do a weekend conference together on a Biblical view of finance. We had leaders from four gypsy churches from the Plovdiv area. Many of their congregations are very poor and live from hand to mouth much of the time. Yet people are scared to teach them what the Bible has to say about money which has the power to set them free from their poverty. The sessions over the two days were well received and there was even some laughter as we touched on some of the attitudes that underpin the poverty in their communities. Please pray that they will be bold enough to pass on the teaching to their people and enable them to be set free from poverty. Sunday evening I ministered in a Bulgarian Church in Plovdiv on moving in the power of the Holy Spirit to see God’s Kingdom established on earth as it is in heaven. The word was followed by words of knowledge and healings, praise God. I spent the next few days meeting with pastors and encouraging them. There are many problems that they are facing, both physical and spiritual and need much wisdom to overcome. Please remember to pray for your brothers and sisters in Bulgaria. Having returned from Bulgaria I was able to spend twelve hours with Kim at home before I had to pack my bag and catch a plane to Hungary and then by car on to the Ukraine. I had been invited to speak at a conference in Uzhgorod along with Mike Davies from Church For The Nations, Slava Nod and Kevin Ball also joined the team. So having traveled from 3am and on arriving in the late afternoon in Uzhgorod we were informed we had an appointment at the sauna at 9pm that evening. This was to be an interesting time for Mike and Kevin who had never experienced an Ukrainian sauna before. They are so hot you can hardly breathe and just when you think you can take no more they start to beat you with a bunch of oak leaves! When this is finished you are encouraged to dive into the ice cold plunge pool. This sequence of events is then repeated several times during the two hours you spend there. Sounds like something from a Michael Palin trip; well it certainly felt like it. Having said that it was a great time of fellowship and fun with the pastor and overall quite relaxing, we all slept well that night. 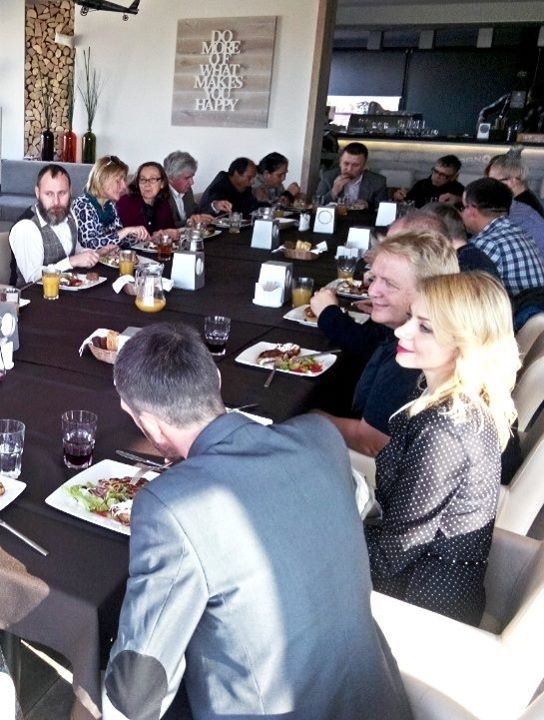 The next day we met for lunch with an influential group of pastors from all round the Ukraine with each of us given time to share a little about ourselves and what God had put on our heart for the Ukraine. What a privilege it was to meet with these folks and hear what God is doing in their lives as well as being able to share what God was saying to us. Mike spoke that evening at the conference on the role of the apostolic ministry in the church which was inspiring . The next morning my session at the conference was on evangelism and the Holy Spirit which I finished by looking at Ezekiel 47. The river flowing from the temple which gets deeper the further it goes and brings life and abundance everywhere it flows. This I linked with Jesus crying out in the temple, “if anyone is thirsty let him come to Me and drink”. Slava, who was interpreting for me, was overwhelmed by the Holy Spirit and appeared to be completely drunk. This then started to flow over the congregation with an outpouring of joy and laughter and even the pastor who came onto the stage at this time got hit with a wave of joy. The same wave impacted me, so much so that I could no-longer stand and was flat out on the stage. How good God is to follow His word with signs following. That evening we were invited to speak at another church and met with the pastors and leaders before the service for tea and cake. the pastor asked if I would speak on the Holy Spirit that evening. Well, I got about two thirds of the way through my word and again Slava was drunk in the Spirit and on the floor laughing. The pastor’s daughter took over at this point to translate the rest of the message but she did not last too long before she started to be overwhelmed by the Spirit and I could not finish because I was hit by a wave of joy and started to laugh almost uncontrollably. Again the wave started to flow over the congregation and all around me people were laughing. Mike sought to take control at this point and started to minister to those with needs and the power of the Holy Spirit started to heal and set people free. As we were leaving the meeting Mike’s shadow hit a young man who had been taking drugs outside the church. He sobered up immediately and became fearful of what was happening to him. Mike and Kevin then shared the gospel with him and he gave his life to the Lord. At this time God spoke to me and told me to tell the young man that he would never be fatherless again to which he burst into tears and hugged me. 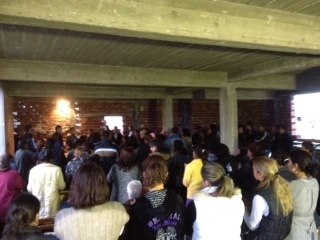 What an amazing weekend we had in the Ukraine; laughter, healings and supernatural conversions. 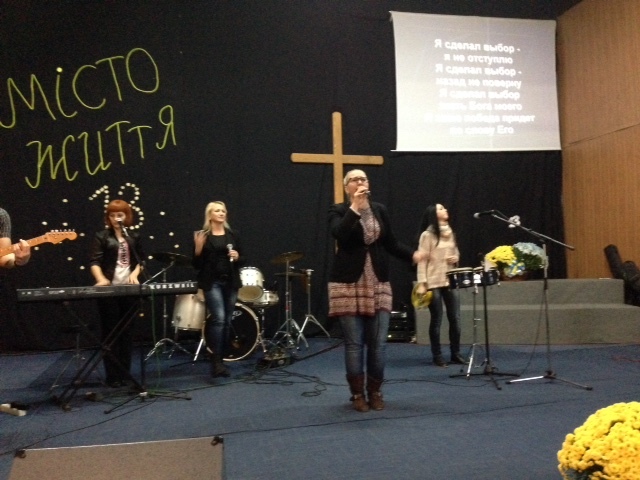 If anywhere needs the power of the Holy Spirit to bring joy, healing and salvation at this time it’s the Ukraine. God is so good! Please continue to pray for this troubled nation. 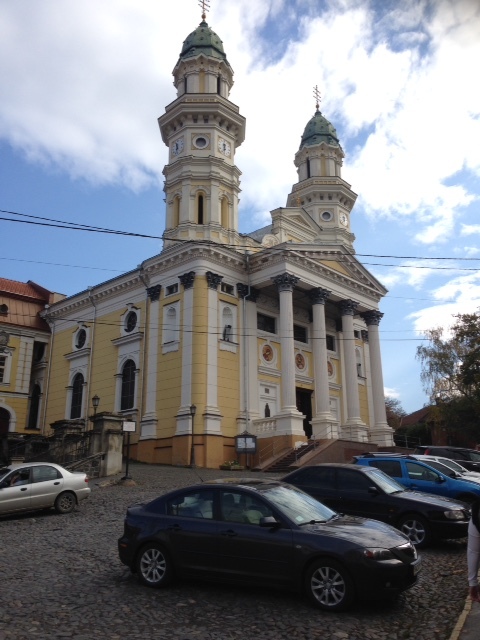 This entry was posted in Bulgaria, Ukraine, Uncategorized, United Kingdom. Bookmark the permalink. Great to read the full picture of what you’ve been up to. The trip together was fun, yes the sauna was hot! Hoping we can do the trip again sometime. Some very encouraging stories. I have a great mental image of you being chased out the sauna with leaves! The meeting in Ukraine must have been a real hoot!